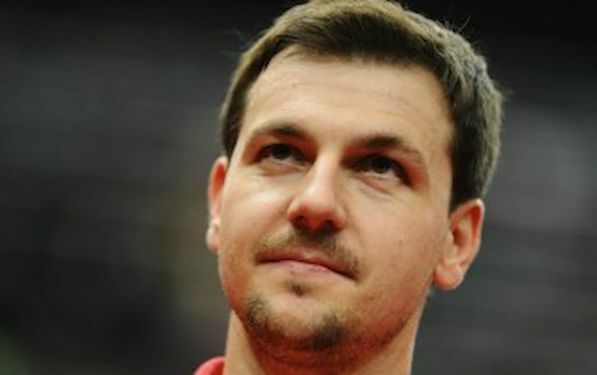 Since 1998 he has participated in every European Championship, now he has to withdraw for the first time: Timo BOLL cancelled his participation in the LIEBHERR European Championships in Schwechat. The record holder of the titles at EC (6 singles, 5 doubles and 5 team titles) is suffering from the flu. “My shoulder injury which bothered me for some weeks is about to disappear and I was positive to have soon recovered from this completely, but then I have caught fever and the flu. With this I have no time to prepare at all,” explains BOLL. “I’m feeling really sick and tired and Europe’s players are too strong as if I could try and defend 2 titles with only half of my capacities”. Since his premiere in Eindhoven, BOLL has participated in 11 European Championships. The German national coach commented: “In addition to his world-class performance Timo is an important player for the team because he helps the team with his presence and calmness. The others must now prove that they compensate for his absence and also can win without Timo”, says Jörg ROSSKOPF. “Now we will have much more hard games, but we know how and we will be able to face it. I am confident that we can work it out”. He will now follow the European Championships from home via live streaming and keep his fingers crossed for his teammates. “The guys are so strong that they can hopefully win gold without me. In singles ‘Dima’ is now of course the big favorite”, estimates BOLL. Dimitrij OVTCHAROV, two-time Olympic bronze medalist from London, has so far “only” won an individual bronze medal at European Championships, in his European debut in 2007 in Belgrade and is longing for the title. BOLL will be substituted by Ruwen FILUS for the team, singles and doubles event. The defender reached the round of the last 16 last year in Herning, and was a quarter finalist in Stuttgart in 2009. “Ruwen has strongly attracted attention recently due to good performances on international and national level. In the world ranking he made his way up and he also gave a good impression during our practice sessions”, said coach Jörg ROSSKOPF. Recently, Filus reached the semifinals at the Czech Open. In the world ranking he is the sixth best German player as the number 79.